Philip Glass was the easiest interview I’ve ever done as a journalist: Happy 75th! I find that most journalism students (and probably working journalists, too) favor one of the two main skill sets of journalism and fear the other. I know journalists who will talk to sources until their editors force them to sit down and meet a deadline, but who have nightmares about blank screens with blinking cursors. I’m the opposite: I find the storytelling part natural, and even fun. I love the writing. But I have to force myself to pick up the telephone when it comes time to do the reporting. I’m good at it, don’t get me wrong, but I find asking strangers uncomfortable questions to be an unnatural act. 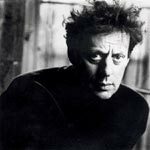 In 2002, I interviewed the minimalist composer Philip Glass, (cousin of Ira! 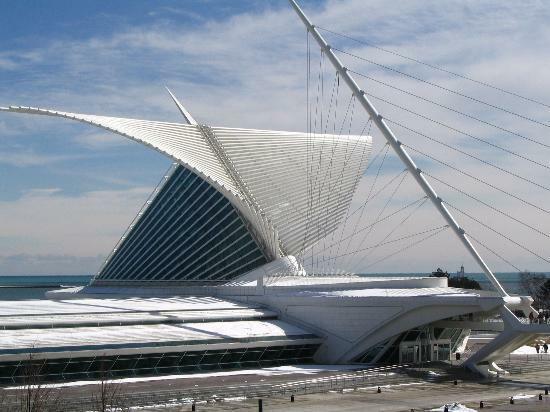 ), who turns 75 today, about a work he had been commissioned to write in celebration of opening of the Milwaukee Art Museum, designed by starchitect Santiago Calatrava. Glass was probably the most famous person I had interviewed at length at that point (not counting a few college press junkets), and I was nervous. I prepped like mad, and came up with what I thought were some pretty intellectual questions about the relationship between architecture and music, structure and movement (the Calatrava building flaps its bony, birdlike brise-soleil wings), rhythm and repetition. But it turned out that none of that prep work mattered, for two reasons. First, Glass had never seen so much as a drawing or a photograph of the building. He admitted as much, but his composition was just a composition. He had been asked. He gave them something. He knew the conductor. There really wasn’t a special relationship between the piece and the building. And second—this being the point of this post—Philip Glass was the easiest interview I have ever done. Still, to this day. I always tell my journalism students that once you ask the first question, things get easier; people like to talk about themselves most of the time. But Philip Glass needed barely any prompting. This isn’t to say that he was self-absorbed. Far from it. He was thoughtful and articulate. And the man spoke in complete sentences that needed no cleaning up at all. That’s already a rare feat for someone speaking extemporaneously, as anyone who has transcribed a long interview will tell you. But even more impressively, he seemed to be speaking in complete paragraphs. There were topic sentences! He made it so easy I didn’t even have to write anything. We ran the interview as a Q&A. And so here, on Philip Glass’s 75th birthday, I link to my 2002 interview with Philip Glass, the most articulate person I’ve ever interviewed (no matter what you think of his music).